The Blue Mosque is also called The Sultan Ahmed Mosque and is an ancient mosque in Istanbul in Turkey and is a popular tourist attraction. 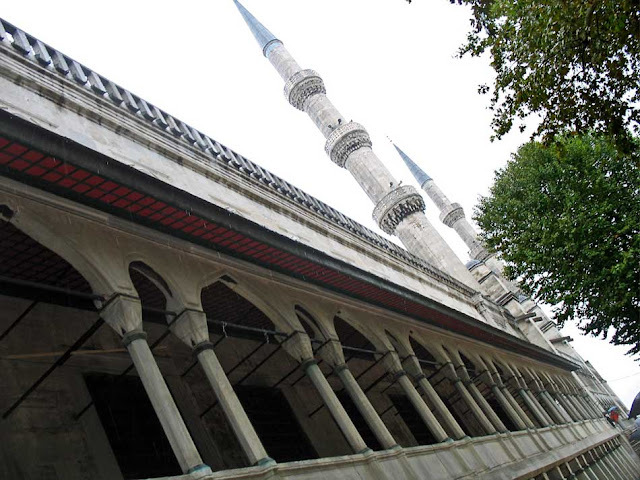 The mosque is known as the Blue Mosque because of the decorations done with blue tiles inside the mosque. Designs from the Blue Mosque, Istanbul are in a separate post on this blog. Here are some pictures of the exterior of the mosque. The first photograph is the approach to the mosque. The six minarets of the mosque are visible. When the Blue Mosque was built, it was the only mosque in Turkey with six minarets (now there is one at Adana too). At the time even the mosque of the Ka'aba at Mecca did not have six minarets and the Sultan was criticized for building a mosque with more minarets than the one at Mecca. 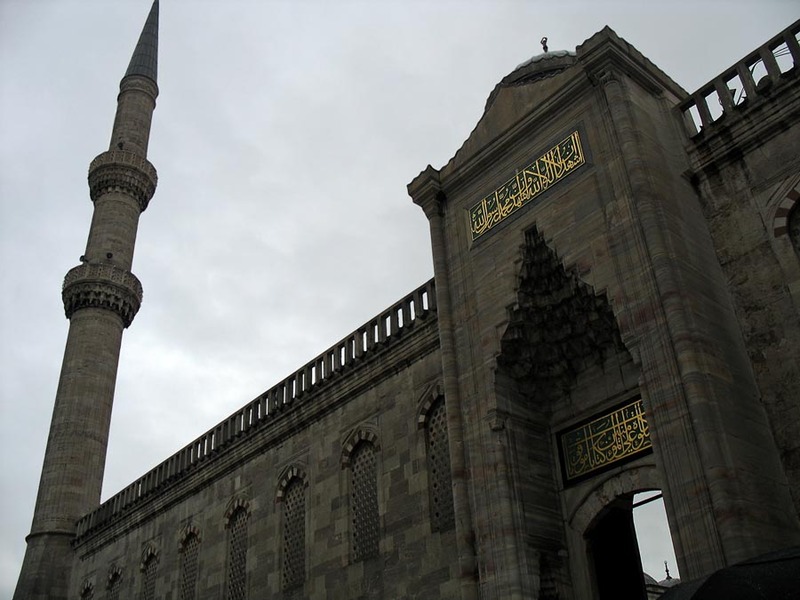 He tackled this criticism by getting a seventh minaret built at the Mecca mosque. This is the entrance to the mosque. Am artistic view of the exterior Blue Mosque showing the long corridor which runs alongside the mosque and also the minarets. Another picture of the Blue Mosque. 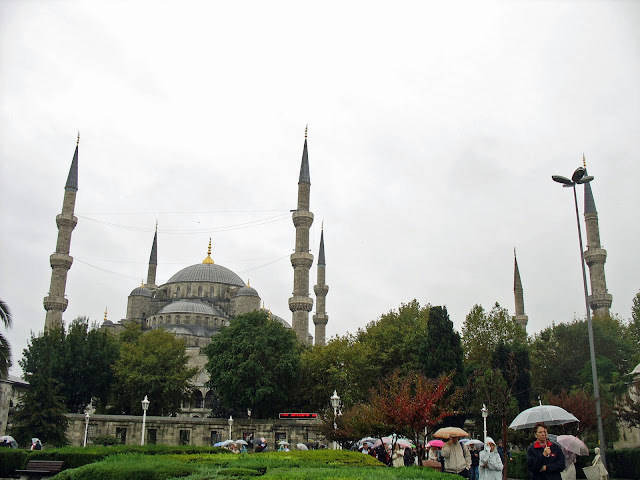 It was raining continuously when we visited the Blue Mosque. I thought that the bobbing umbrellas against the backdrop of the mosque looked pretty.